Happy Lucky Wednesday, World! I sincerely Hope You are having as Magical a Wednesday as I am. I Wish You could know how much You mean to Me, I really do. I appreciate every single individual who Reads these Words more than I could ever ex-Press Given the limitations of the English Language. It’s true. And for the Full Moon of March to Fall on the First day of Spring, and on Lucky Wednesday’s Witches, Wizards and Warlocks Edition with so much Magic going on in My Microcosm… Well, let’s just say I’m feeling exceedingly excited to be with You today. For the first feat of Magic, let us be thing King about the Word express, as in to express One’s Self. I have said before that an Ion is a unit of Energy. Energy Gives Life to the body, it is the Essence of Spirit. So a question is a Quest Ion, a Quest for Your Spirit Energy, Ex-Pressed by the body. Expression is Casting a Spell. Ex means to Cross out. Press is pretty self explanatory, but it is a Verb, an Act-Ion Word. Here, I am expressing My Self with Words. I am Crossing out Ideas in My Mind by Pressing Keys (Act) on a Key-board. The Ion of Energy leaves My body and is received by You, where it has the Capacity to influence One’s Emotions. ‘E’ Motions are Energy Motions, the Motion of an Energy Ion being received. How Powerful is that? I have always said, they Call it Spelling for a reason, Words are Magical. 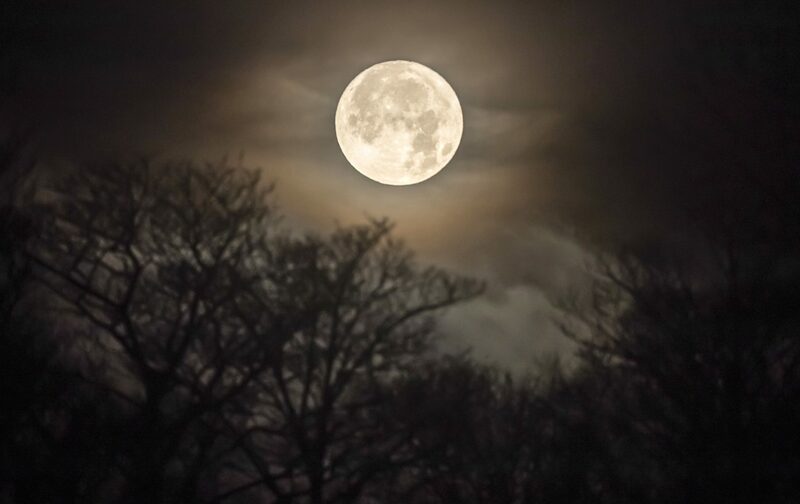 I have also spent some time tall King about the Magic of the Full Moon. I have suggested that the Full Moon often represents the climax of important events in One’s Microcosm. Today in My Microcosm, the Full Moon’s peak Will occur as I Write this Post, 9:14 Post Midi. I received the rest of the paperwork necessary to complete the Forms to Honour My resolution agreement with the city. This is Essentially the climax of the work I can currently do in My Microcosm and One of the concessions Given in My resolution agreement. I am strongly opposed to some of the terms and conditions Writ into their contracts. Anyone homeless should immediately ‘qualify’ for housing. I’m not going to discuss the processes in any great detail now, as I Trust the city recognizes this fact but are so plugged in to their Matrix, they simply have no Idea how to accommodate Me without having Me fill out all of these ridiculous Forms. I want to do everything I can to help the city of Ottawa Honour their agreement with Me for April 1st, and right now I Trust they Will which Will make My ‘Issues’ with the Forms a ‘non Issue’ (and not worth wasting My time tall King about). This is the Witches, Wizards and Warlocks Edition on a Lucky Wednesday on a Full Moon. Now is the Perfect time to Cast new Spells. I am a Servant of God and the Queen. I don’t even have to pretend. This Blog is all about Living a Spiritual Life. Coincidentally, it just so happens that everything I Wish to accomplish in this world, is not only protected by Law, but it is also the very Foundation of Law in Man’s world (Matrix). The Rule of Law is Founded in the Supremacy of God. Living for God is the very first of the Ten Commandments, and the Bible ‘just happens’ to be accepted as Truth (God’s Word) in any Court of Law. ‘Coincidentally’, the government of Canada Wishes to perceive Me as a Canadian citizen, and the First Oath of all Canadian citizens is to Swear or Affirm allegiance to Her Grace, Glory and Majesty, Queen Elizabeth the II. So it would seem to Me that it would be very difficult for any government official or Court of Law to suggest that Acting in Service of God and the Queen is not a ‘real’ job. The Father and Mother of Man’s Macrocosm are the Pope and the Queen, they represent the Father and Mother of the House in My previous analogy. The Ten Commandments are the House Rules Established by the Father. Mother tries to Keep the children of God out of trouble by Giving them chores. Queen Bee has colonies all over the Earth, and We are the worker Bee’s building the United Kingdom of God. We are Heirs to that Kingdom when We grow up Spiritually, learn to behave, and get along. At least, that’s My Story, and I’m sticking to it. This is the reason I am fearless about Writing a Letter ‘On Her Majesty’s Service’ – it’s not a joke. Four simple Words. In Magic, Four is Foundation and II is a Door. Every time I Write it on a Letter, I am Giving Notice that I am Acting on Her Majesty’s Service. It’s a subtle Way of letting People know that despite the playful tone of My Letters, it is only to take the sting out of a Serpents Venomous bite; One would be Wise to Act quickly in tending One’s wounds. And soon I Will be Composing My Letter to constable Christopher Matthew Jenkyn of the Ottawa Police Service. Even getting too busy to get around to Writing the Letter had something of a Magical Quality about it. When thing King about the Letter and how I might Compose the first few lines, I realized that One week today Will be exactly One year from the day constable Jenkyn’s unlawfully arrested Me. It only seems appropriate that I Serve him with My Letter on the anniversary of My assault. Once again, too perfect to be a coincidence. The other thing I’m going to have some fun with while Writing My Letter to Jenkyn is reminding him that I’m Acting on Her Majesty’s Service, and that his Duty and Sworn [or Affirmed] Oath is to do the same. It is a very serious offence to assault a Man representing the Queen in Canada. A Man Acting in His Sovereign Capacity as a United Kingdom of Mind, Body and Soul who has Sworn to Honour his Duty to Her Majesty is also a Governor General of His United State, and legally recognized as such in any Common Wealth country. After mentioning the erratic behaviour of My Twitter account in a Post last week, moments after Publishing I lost 80 followers. First time My stats ever went below 5000 in a few months. I never worry about it, I just kind of notice the anomaly. When I woke up the next day, I’d regained 30 followers overnight. At almost the same time as the Full Moon today, I was back to 5,000 followers. So that added a little more Magic to My Lucky Wednesday. I guess One not so Lucky thing about this Wednesday was not getting this Witches, Wizards and Warlocks Edition Published in time for Wednesday, but that’s okay. We’re harnessing the Energy of the Moon and the Ex Press Ion of Magic in this Post was causing My laptop to overload a little, it became unbearably slow, as tends to be a Sign whenever Writing important Entries. I do Hope that My late ‘Wednesday Witches, Wizards and Warlocks Edition’ makes Your Thursday more Thrilling. Follow your intuition or inner guidance system to discover or even rediscover your own path or or your own joy . How could the homeless people in the USA or all over the world be helped to become at least in the middle class category or even wealthy ? Is it by giving them minimum allowance or prividing them with libraries equiped with great things like self-development books and internet access to informative and educative videos or sketches ? Could the governments and private insitutions help the homless learn new skills in whatever fields they like ? How could the rich help the poor not only finacially but also emotionally in realizing that they could change for the better and they have unlimited potential to grow and develop ? Even if some homeless are addicted to alcohol or drugs , aren’t there ways that could be promoted by non-governmental organizations to make people rediscover or realize that they are capable of doing any service to themselves and the world ? By doing so , they become more spiritually and finacially prosperous and fulfilled . Thank You SO much. I take so much comfort in knowing that others see simple solutions that benefit everyone, too. Blessings!